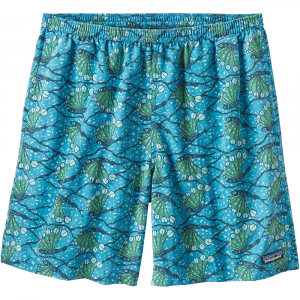 Visit Patagonia's Men's	Nine Trails Shorts page. 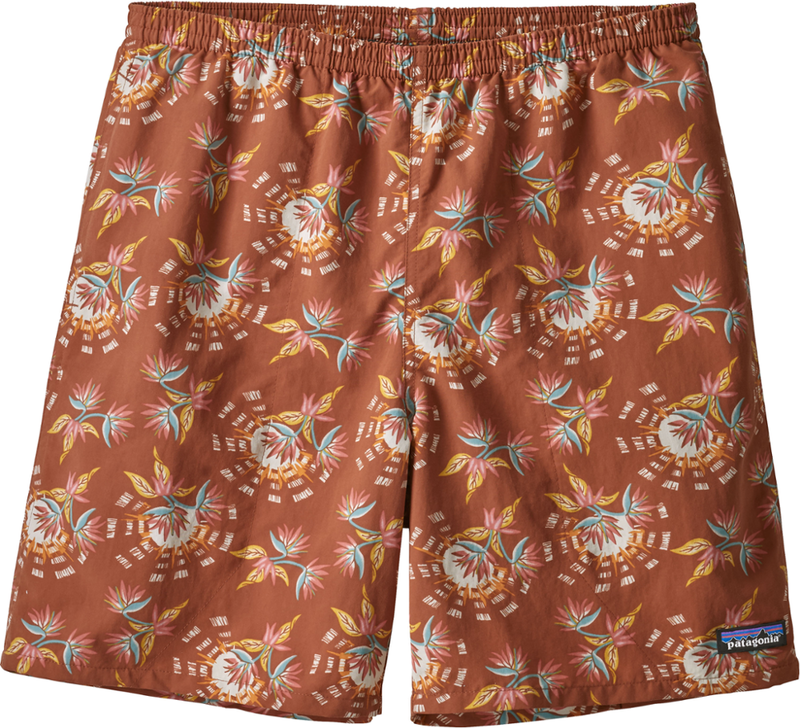 Perfect for heart-pumping day hikes and predawn jogs, the Patagonia Nine Trails shorts promote breathable comfort with a recycled polyester blend. They feature an 8 in. inseam with 2 in. side notches. 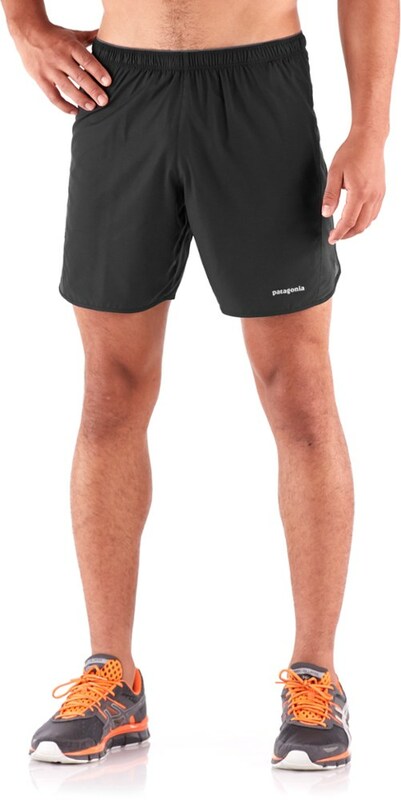 These versatile, fully featured, tough yet breathable running shorts have a main body comprised of a lightweight blend of 75-denier 91% recycled polyester/9% spandex fabric with four-way stretch and a DWR (durable water repellent) finish. Inside, they use a supportive and wicking polyester boxer-brief liner (made from Capilene(R) Lightweight fabric with Polygiene(R) permanent odor control) for additional chafe protection. All three pockets (two large front, one back right) close with zippers; the drawcord at the waist fine-tunes the fit. Inseam is 8" with 2" side notches. Reflective logo on left-front hem. 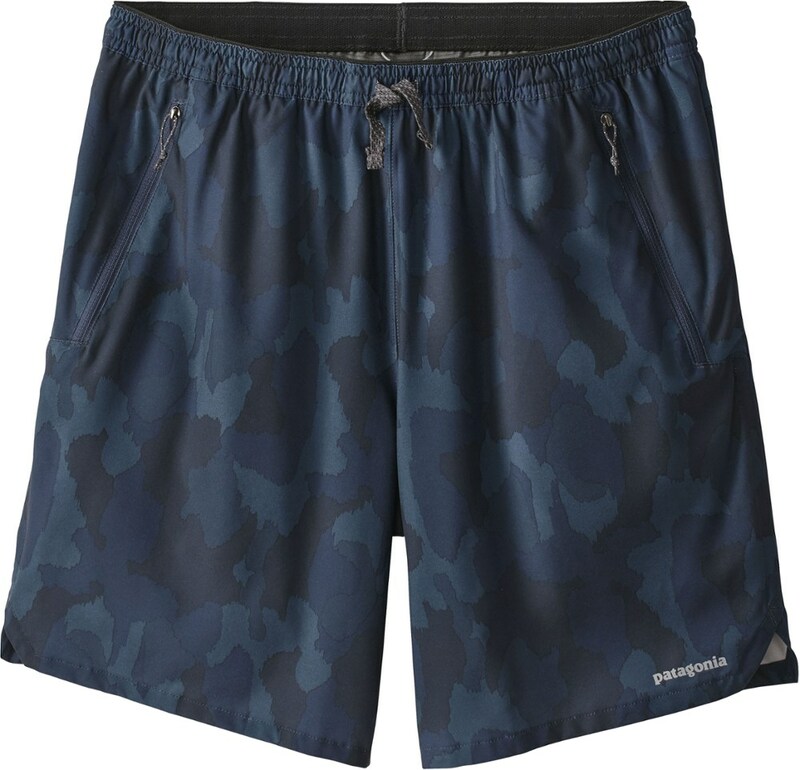 Whether you're pounding the pavement before work or running desert trails on the weekend, pull on the Patagonia Men's Nine Trails Short before heading out the door. The lightweight polyester fabric stretches for complete freedom of movement, the DWR finish keeps you dry, and mesh panels provide ample ventilation for hot days on the trail. 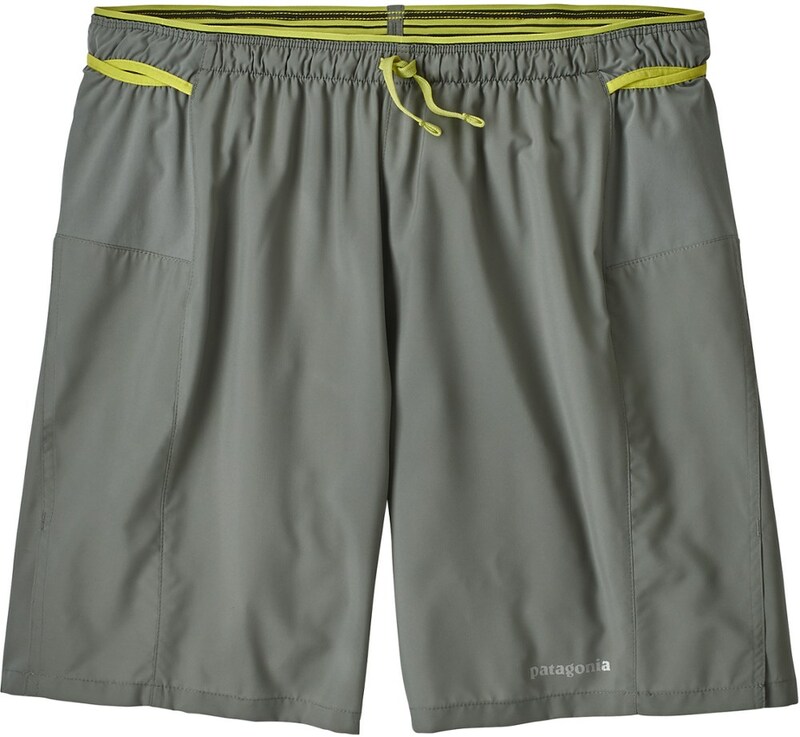 These versatile, tough yet breathable running shorts have a main body comprised of a lightweight blend of 75-denier 91% recycled polyester/9% spandex fabric with 4-way stretch and a DWR (durable water repellent) finish. Inside, they use an updated, supportive and wicking polyester boxer-brief liner (made from Capilene Lightweight fabric, with Polygiene permanent odor control) for additional chafe protection. All 3 pockets (2 front, now with added depth; one back right) close with zippers, and a drawcord at the waist fine-tunes the updated fit.